In the third year of the my undergrad degree, my class studied a play called ‘Ghosts’ by Norwegian heavyweight, Henrik Ibsen. The play brings to life an old adage, ‘the sins of the father shall be visited upon the sons’. Oswald, a bright, young artist is laid low by a congenital disease he’s inherited from his debauched sire, and ends the play (spoiler) mindlessly chanting ‘the sun, the sun’ while his mother wrestles with the weight of a past that has brought them to this. Now, a lot’s been written about the role of mothers in the Potterverse, how they shape their children, provide a grounding force in the face of evil and sometimes, literally give their kids another chance at life with their sacrifices. In this post, I want to look at the other half of that parenting equation, with a study of how fathers shape their (specifically) sons. I would argue that this shaping is, more often than not, a root cause of several problems that characters face. It seems a negative rather than positive force in many male characters’ lives, a negativity that is only corrected with the application of a mother’s love and influence. In short, fathers mess up the sons so that the mothers can set them right. I’ll illustrate this with, what seems to me, the most glaring examples in the Potter canon. By asserting that fathers are often a negative force, I don’t mean to cast aspersions on the integrity and character of the fathers themselves. Some of them, such as Arthur Weasley and James Potter, are no doubt wonderful (in James’s case, become wonderful) human beings, who do all that can be expected, and more, to defend and protect those they love. Nonetheless, their actions, whether meant in good faith or not, often rebound in a negative manner on their offspring. Let’s consider a few examples, shall we? James is absent for most of the books, but it was his behaviour in school that, allegedly, caused Snape’s undying hatred of him and resulted in the bullying that Harry faced for six years. If Lily had married someone else, would Snape’s virulence been as pronounced? Idle speculation, probably, but no doubt his hatred of Harry was exacerbated a huge amount by the fact that he was his schoolyard rival’s son. James is held up as a shining paragon for all of four and a half books—until that terrible moment in Order of the Phoenix where all of Snape’s worst stories seem to be confirmed. The viewing of ‘Snape’s worst memory’ causes perhaps the most profound moral crisis Harry has faced until this point, a crisis that never really gets resolved, given that James, from this point on, begins to lose his lustre (a move that only gets cemented with the death of his staunchest supporter and the strongest link—Sirius) and Lily becomes much more of a player in Harry’s life. 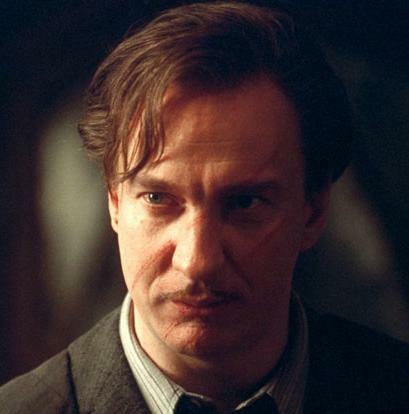 Thanks to recently published information on Pottermore, we now know that Lyall Lupin, Remus’s father, was a ‘world renowned authority on Non-Human Spiritous Apparitions’ such as Boggarts. He was unlucky (and bigoted enough) to express an opinion on werewolves to Fenrir Greyback, calling them ‘soulless, evil and deserving nothing but death’. To teach the Ministry man a lesson, Greyback retaliated by biting his almost five-year-old son, Remus Lupin. choices for many, many years. Right until Deathly Hallows, Remus is struggling with his identity as a werewolf, his fear of his own strength and darkness prompting him to run away from his pregnant wife. 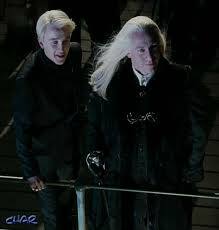 If there’s one thing that little Draco knows, it’s the power his father’s name commands in the wizarding world. ‘My father will be hearing about this’ is his catch phrase, and he uses it on everyone, from Hagrid to fake!Moody to Ron and Harry. Lucius is the brick on which Draco rests his own importance, whether it be his facilitating Draco’s entrance into the Slytherin Quidditch team in Chamber of Secrets or cozening up to Snape and suggesting that he take up Headmastership in Dumbledore’s absence. Draco’s near hero worship of his father reaches a head at the end of Order of the Phoenix when he promises to make Harry and his friends ‘pay’ for putting him behind bars. Draco’s unquestioning love of his father extends to a wholesale acceptance of his ideals, leading to an unthinking parroting of conservative pureblood attitudes from a very young age. It also, scarily enough, leads to his acceptance of a position in Voldemort’s circle. There’s no doubt that Draco’s Death Eater status is a result both of his espousal of their ideals (or what he thinks their ideals to be) and careful bullying from Voldemort’s supporters. Draco’s service under the Dark Lord is marked by a crumbling of illusions; by halfway through Half Blood Prince Draco has understood the reality of his position and the complete lack of glamour it possesses. It’s thanks to Narcissa’s snap decision in the Forbidden Forest that Draco gets out of Hogwarts relatively unharmed. I don’t see him lasting happily under Voldemort’s reign. 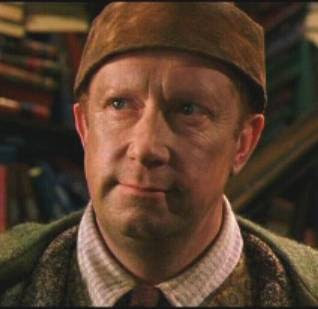 I know, this is an incredible assertion to make: Arthur Weasley, model father in the Potterverse (i.e. the only one who fulfils basic criteria like being alive, being one of the good guys and not running out on his family, unlike the three previously mentioned) messed up his son? But consider this: one of the reasons Percy gives for walking out on his family is that his father was unambitious, that he didn’t do all he could to better the status of the family or his own position in the Ministry. Percy sees Arthur’s lack of ambition and eccentricity as a handicap, something he has had to struggle against in his own professional life. A self constructed sin, perhaps, but certainly something that resulted in Percy’s morally questionable actions and decisions in the latter half of the series. 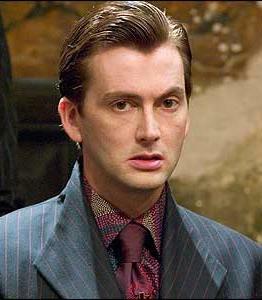 Fake!Moody/Barty Crouch Jr himself draws the parallels between him and his master at the close of Goblet of Fire. Both are ashamed of/opposed to their fathers; both were ‘abandoned’ by them; both paid the ultimate price for their abandonment. Crouch’s negligence of his home life, the subject of furious gossip after his son’s trial, resulted perhaps in his son’s straying to the ‘wrong’ side. Tom Riddle’s abandonment of Merope resulted in Tom growing up unloved in an orphanage, setting in course a series of events that would see him rise as a vengeful Dark Lord with no desire for forgiveness or understanding. If Tom Riddle Sr hadn’t left his wife, would Voldemort have turned out the way he did? 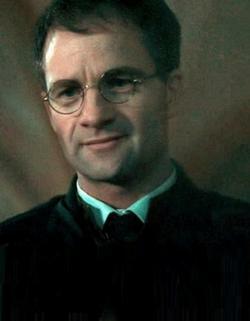 Rowling stated that he was ‘incapable’ of love since he was conceived under the effect of a love potion, but perhaps the presence of a parental figure might have remedied that. Who knows? And so we have it: the dad’s job in the Potterverse is to pass on prejudice, be the cause for prejudice, or set up skewed morals in his son. There’s a hint of this being carried on even in Harry’s generation: Ron warns Rose against Scorpius Malfoy, telling her that she has to ‘beat him in every test’ and that ‘Grandpa Weasley’ would never forgive her if she married a pureblood. Hermione, strikingly, says nothing. You have to admit this is a little disturbing: Scorpius is being judged, much like Harry was, on the basis of his parentage and not his own merits or lack thereof. Evidently some things don’t change.